For my Second Plague Marine Squad, I kept them even more simple than my first. This squad is my versatile, anti-vehicle squad.... Which means I gave them a Meltagun. 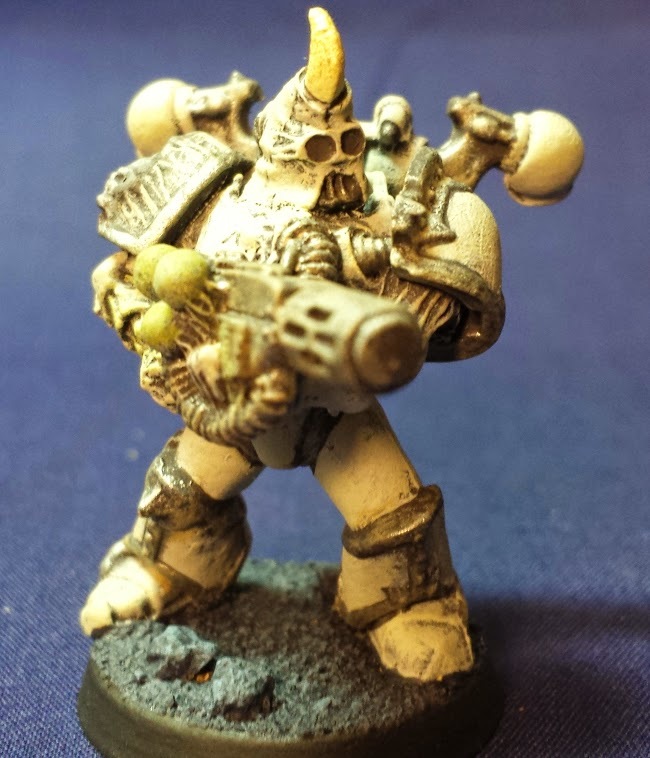 The Aspiring Champion is armed with a simple Bolter and a Close Combat weapon. 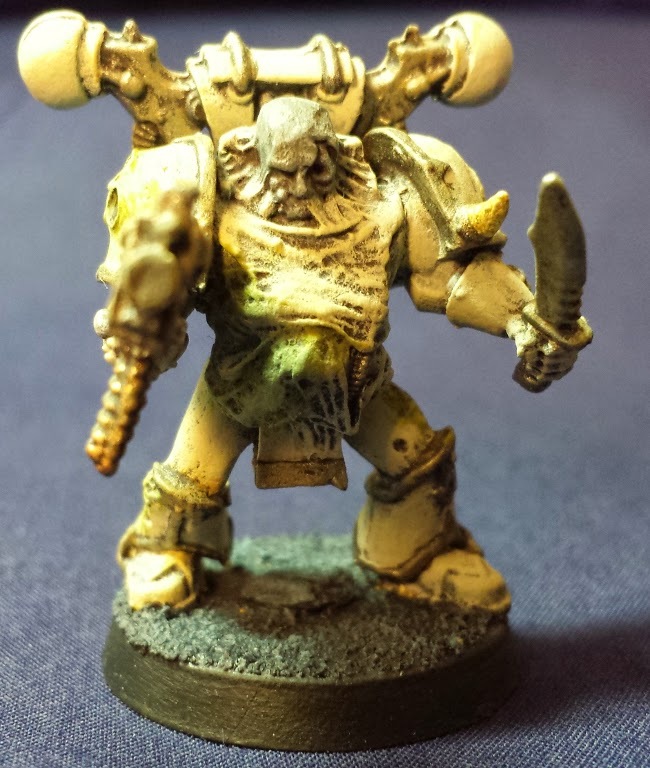 The Meltagun is the real feature of the squad, and this is one of the Games Workshop special Plague Marine sculpts. 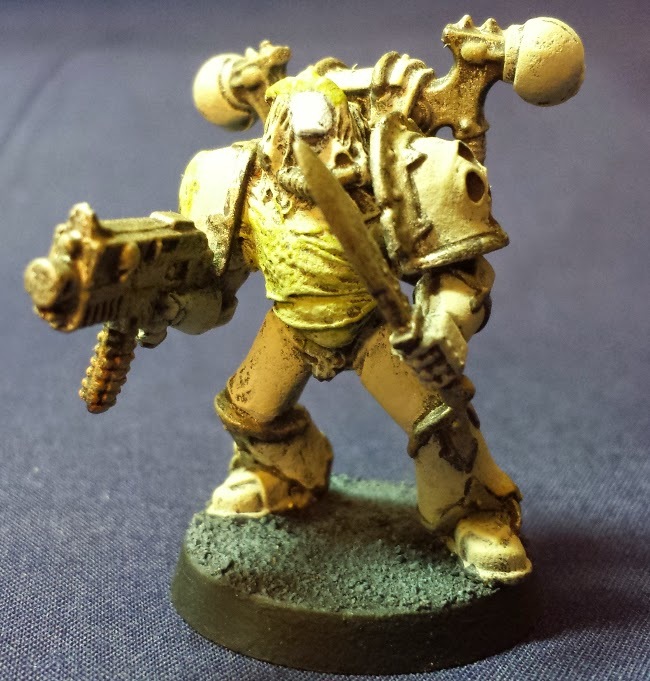 When I started Playing Warhammer, 3rd edition was standard, and Plague Marines had an ability called True Grit, which let them one hand a bolter and carry a close combat weapon. 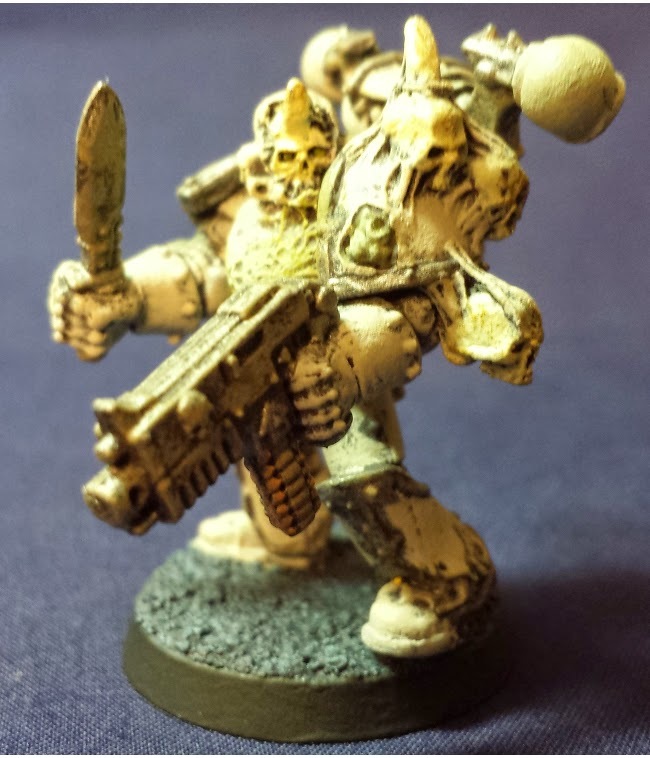 Well, True Grit is not a rule any more and now may of the Plague Marines are in strange transitory states of putting their gun away and pulling out their close combat weapon... or vice versa. 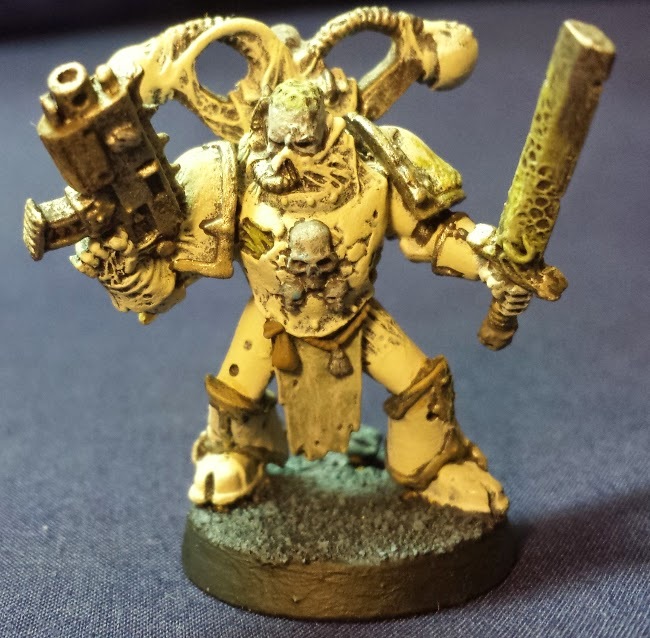 Makes you wonder how they will change the plague marine minis in the future.